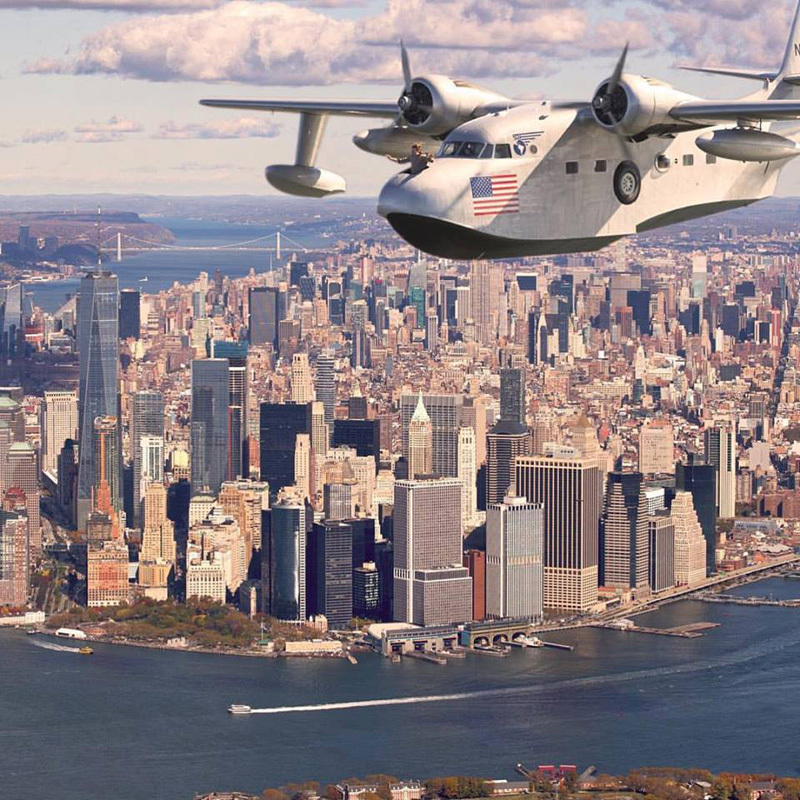 A rare Grumman Albatross flying up the Hudson River somewhere between the Statue of Liberty and Battery Park, with a man standing up in the bow hatch, arms outstretched against a 150 knots headwind. In the seaplane’s nose standing Dirk Braun, who is filming a documentary about Grumman Albatross flying boats and the people who preserve and pilot them today. The first in the movie Tom Casey. Now in production, “Flying Boat” will be Braun’s feature debut. It will profile the pilots, history buffs and surfers who use them today while also exploring the aircraft’s history. 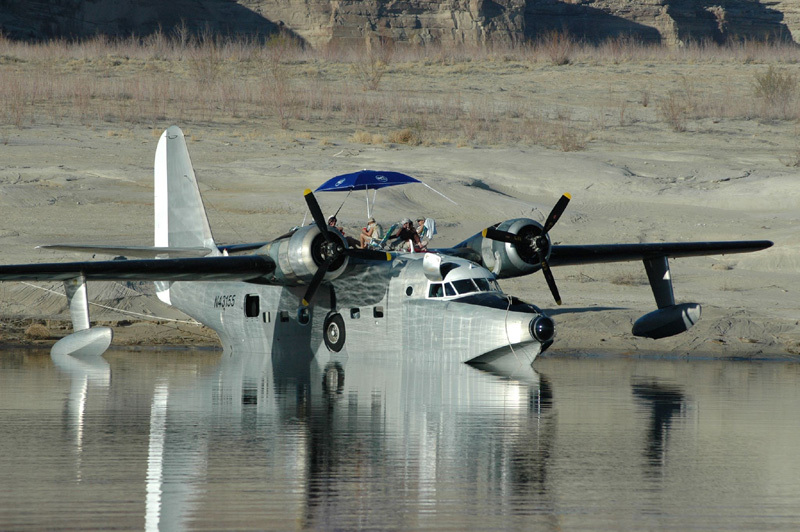 The Grumman Albatross went out of production in 1961, but its heyday was the 1930s, when its popularity coincided with the elegance and adventure of early aviation.